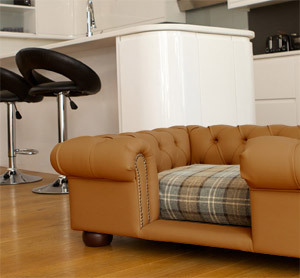 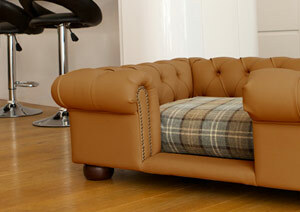 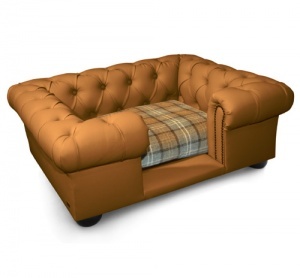 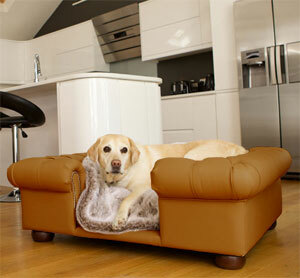 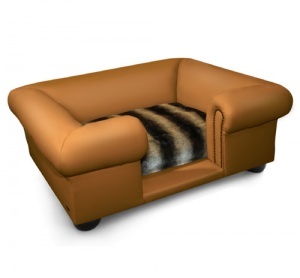 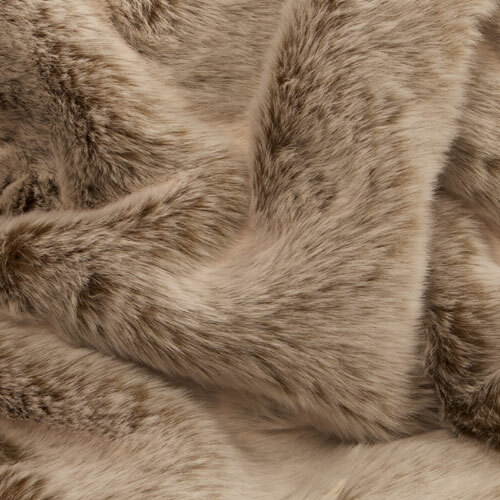 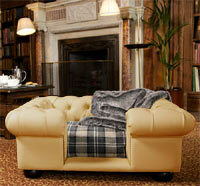 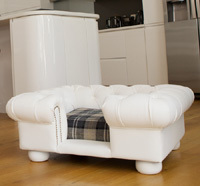 This luxurious camel coloured faux leather dog bed is a real piece of furniture just for your pet. 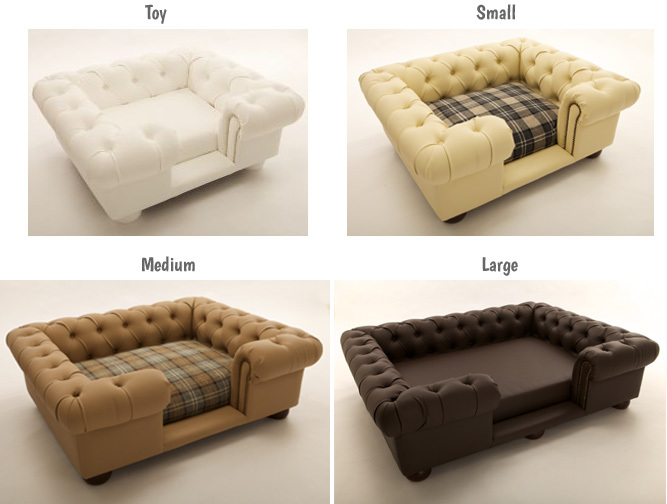 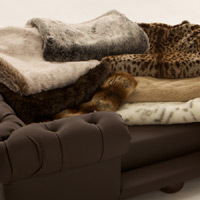 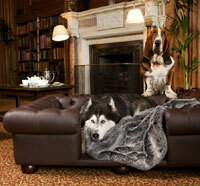 These dog sofas are pure luxury that your best friend will enjoy for many years to come. The classic Balmoral design takes its inspiration from the traditional Chesterfield sofa, loved and admired the world over. 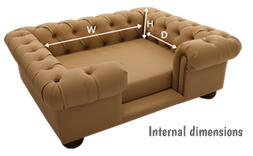 The signature roll-top cushioned arms and optional deep set buttons look stunning in your home whilst offering comfort and support for your pet. 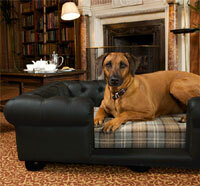 A sophisticated and timeless dog bed for your dog and your home.